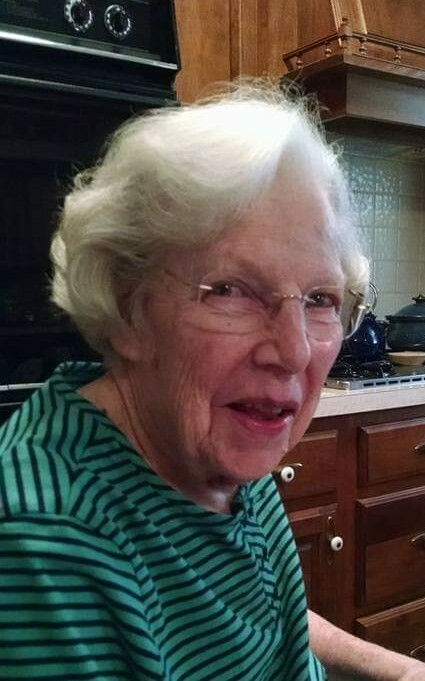 Mary M. Boarman, formerly of Tallmadge, passed away peacefully in hospice care on Friday, Feb. 8. Mary finished a full life as wife, mother, grandmother, and great grandmother, as well as a teacher to developmentally disabled students and countless sewing students and colleagues. Born in Hubbard, Ohio, she attended Ohio State University and later Kent State University. Mary began teaching developmentally disabled students in the late 60’s at Weaver School and Workshop, retiring in 1993. She was a member of several sewing and quilting guilds, and continued her craft into her 90’s. She was preceded in death by her husband, John; daughter, Judi; grandson Eric. Mary is survived by her daughter, Sally (Ostrander); son, Richard (Suffield); grandson, Aaron Davis (Parma Heights); great grandson, Maxwell Davis (Wadsworth); sister, Jane (Andy) Warner; brothers, James (June) Stewart and Richard (Sandra) Stewart. Funeral service will be 11:00 a.m Thursday, February 14, 2018 at the Donovan Funeral Home, 17 Southwest Ave. (on the Historic Tallmadge Circle) with Rev. Jim Case officiating.